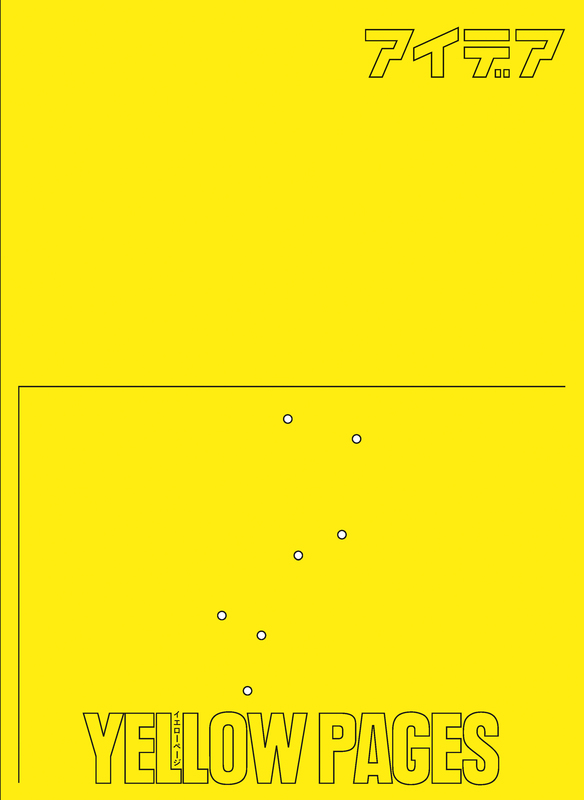 This book is an E-book of eight series from “Yellow Pages” which featured Asian graphic designers on the Japanese graphic design magazine IDEA. This book will give you the case studies of Asian young designers and will let you know the “now” of Asian graphic design developed together with globalization. Designer. Director of OOO Projects. Teaching Literature Arts and Cultural studies at Kindai University. Involved mainly in research surrounding graphic design; also participates in Inter Graphic View researching graphic design in non-Western spheres, as a visiting researcher at HFBK (Germany). Experienced in exhibitions related to graphic design, in charge of planning Fragments of Graphism with Kiyonori Muroga. Currently working on an exhibition at ddd Gallery for Yellow Pages, a series featured in IDEA. You can downloaded Kindle and iBooks store. This time, the kyoto ddd gallery will be holding the “Graphic West 7: Yellow Pages” exhibition. 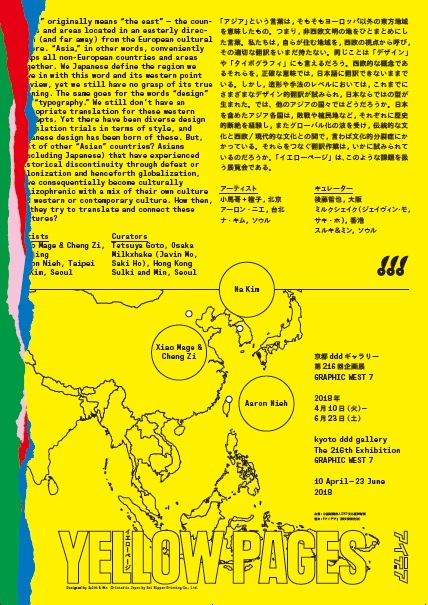 “Graphic West” is a series of exhibitions that we’ve held since our Osaka days where we broaden our outlook beyond Kansai to the rest of Asia.